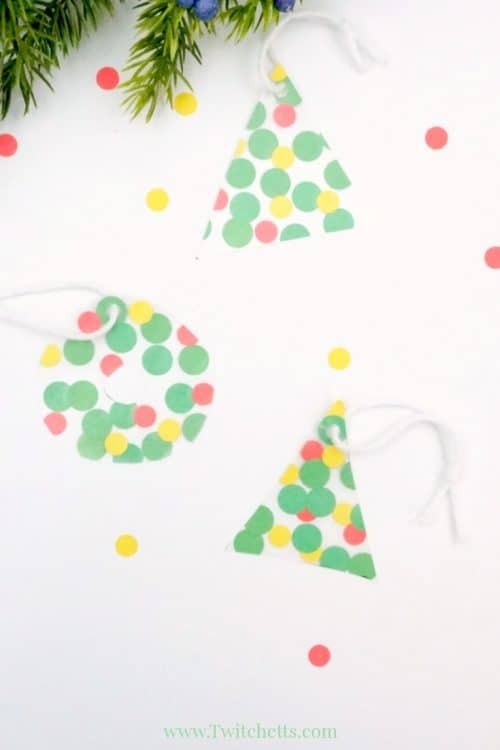 These fun suncatcher Christmas ornaments use inexpensive construction paper to create a suncatcher that can be given as a gift or hung on your tree. 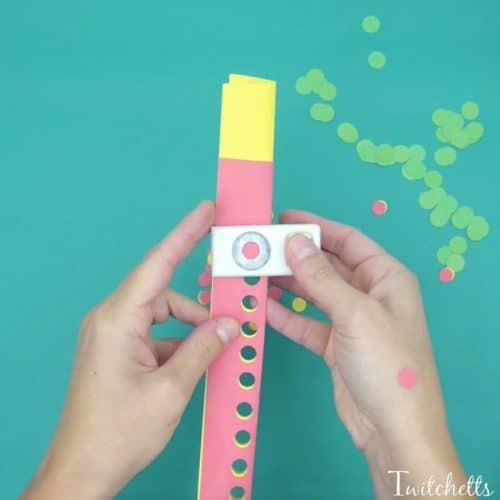 Sometimes little fingers need little projects to help them develop their fine motor skills. These adorable ornaments have minimal setup and lovely results! Your child will love to pass them out and seeing them around their home. 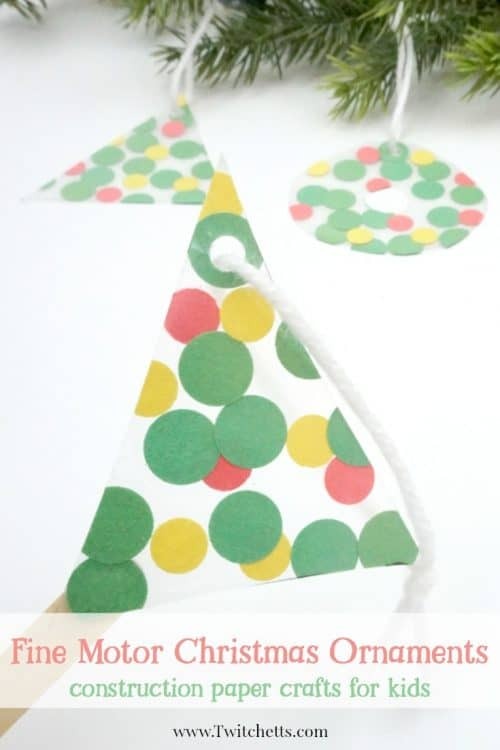 Here are the step by step instructions to create fine motor Christmas ornament. To see it all in action, check out the video below. 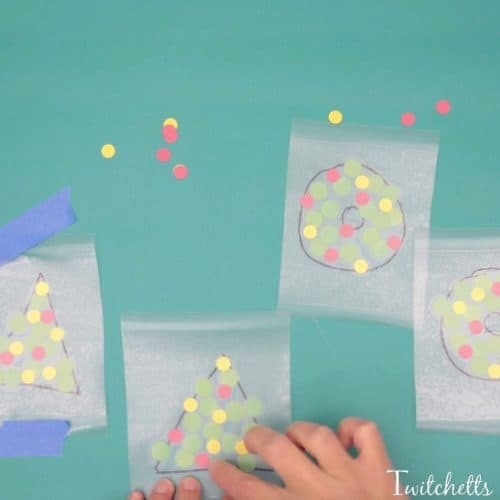 If your little one is able, let them work on punching out some holes. Draw out the shape of your ornament on the clear side of the contact paper. Peel off the backing and tape it to your surface with the sticky side up. 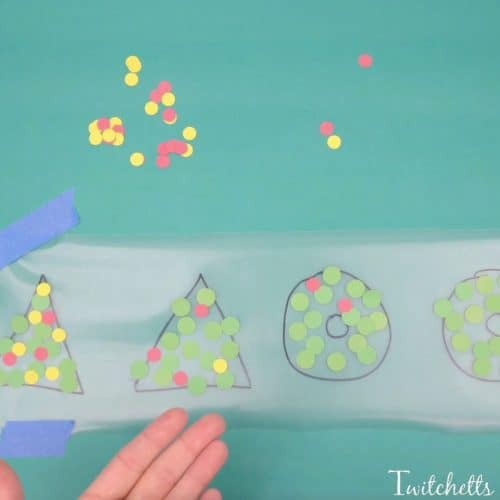 Fill in the shape using the construction paper dots. Try to make sure to leave a bit of the contact paper exposed. 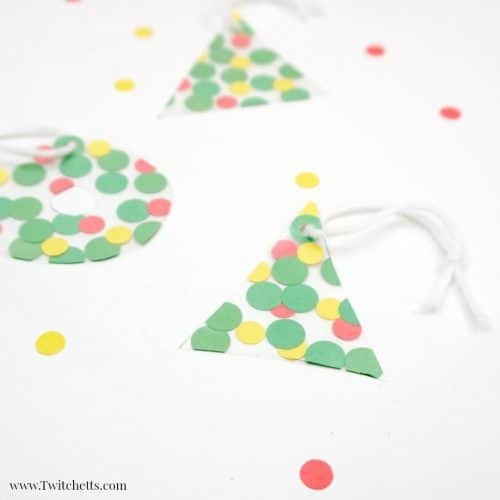 Related Craft: Practice scissor skills while creating an adorable Christmas ornament! 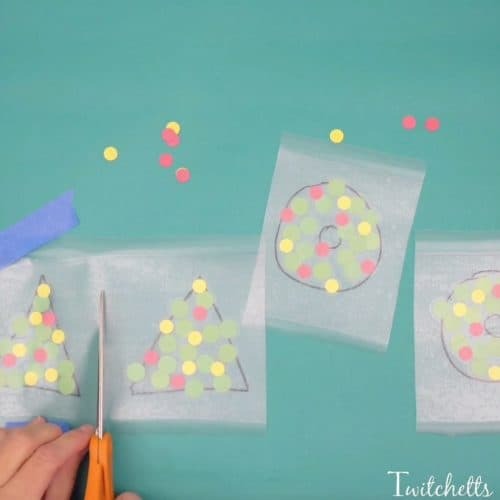 Once the dots have been placed, add a second piece of contact paper on top of the dots, sticky side down, so the dots are sandwiched between the two sticky sides. Cut your ornaments apart if you have more than one. Then, press out any air bubbles before you cut out your shape. Be sure to Now cut just inside your lines, so that they do not show on the final ornament. Finally, punch a hole, and add your ribbon to hang. 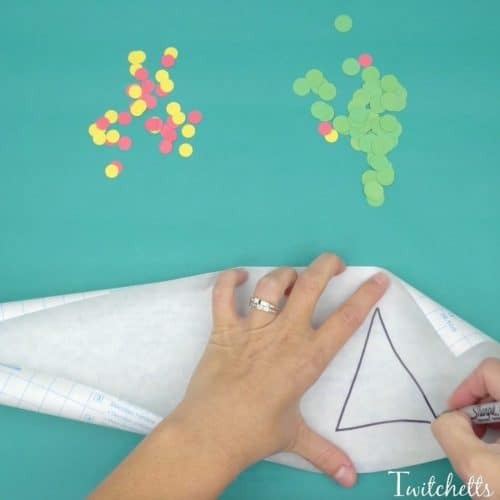 See the whole fine motor process in our quick video. 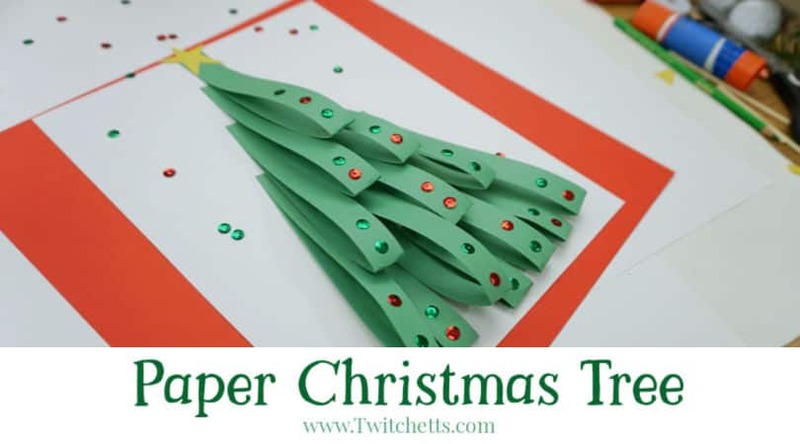 We created trees and wreaths but you could do all sorts of shapes! Stars, stockings, anything you can easily recognize the outline of! Please pin this fine motor Christmas ornament to your favorite Pinterest board!